The genus Platycerium contains approx. 18 members but only a few of them are used as indoor plants. They are native to the tropical regions of South America, Africa, South East Asia, Australia and New Guinea. Some of them grow epiphytic (sitting on trees) or lithophytic (on rocks). 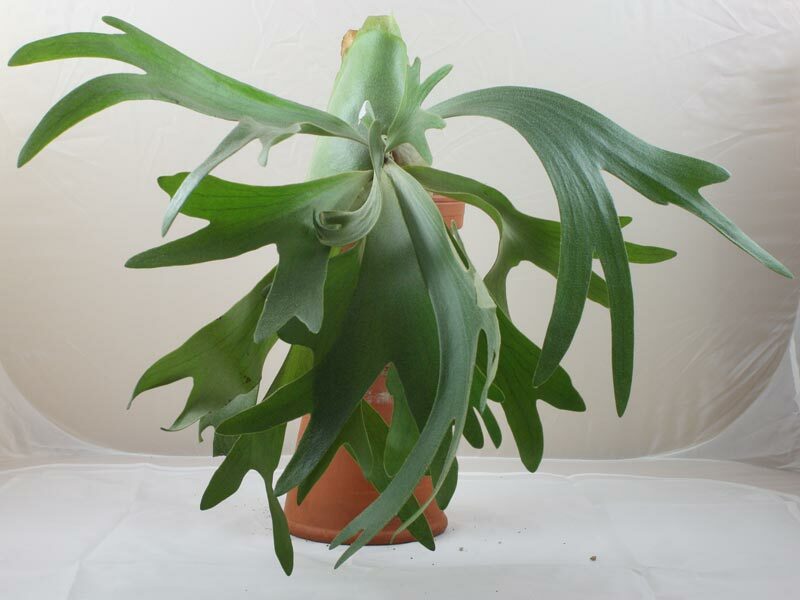 The most popular species is the commonly known as Staghorn Fern or Elk Horn Fern Platycerium bifurcatum. 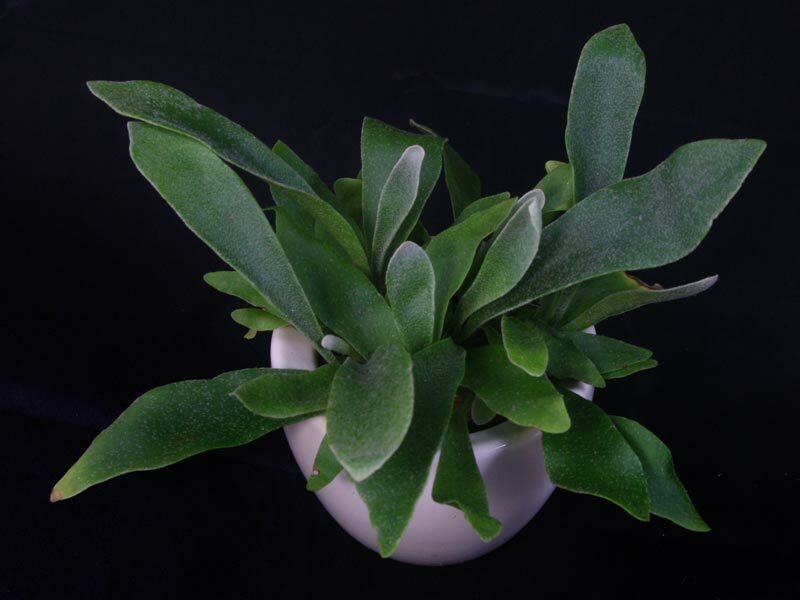 Lighting: The Staghorn Fern grows best if located bright with some morning or evening sun. After habituation, and if the pot is not directly behind the window, he tolerates the summer afternoon sun. Soil: The soil should be well drained. I’m using a mix of orchid bark and potting soil (1:1). But it can also be cultivated in pure orchid bark. 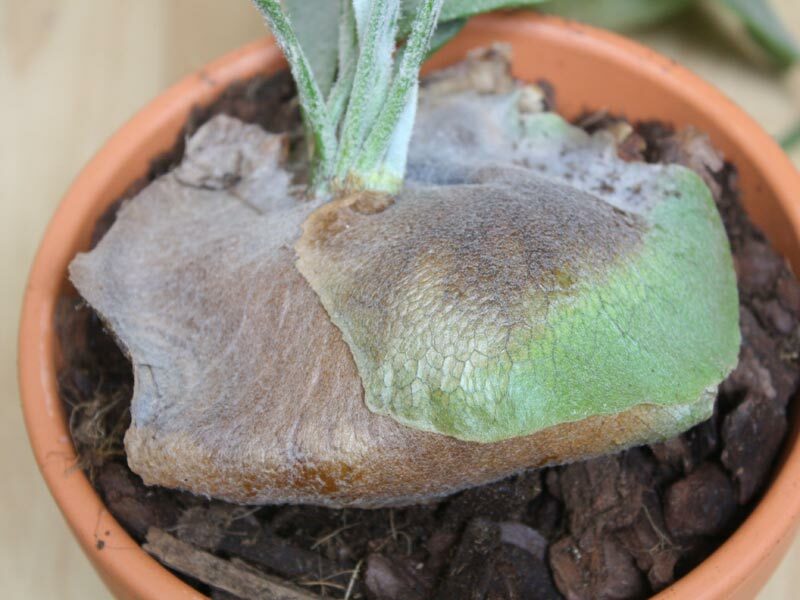 Watering: From fall to spring Platycerium bifurcatum can be deep watered. What’s running out of the pot must be removed after a few minutes because wet legs will cause rotten roots. Before adding water next let the soil become moderately dry. Feeding: A half diluted water soluble fertilizer can be given monthly from spring to fall. 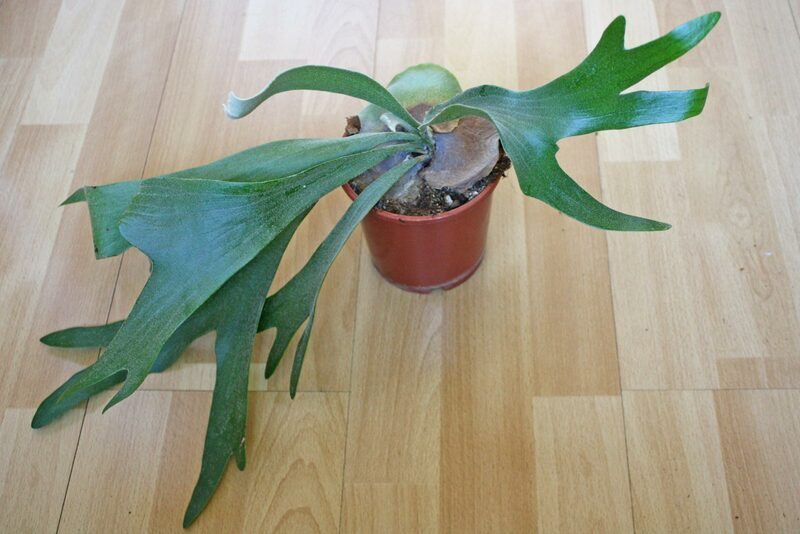 Temperature: During winter the Staghorn Fern can be placed at room temperature or somewhat cooler between 15 °C/59 °F. If placed cool, it has to be kept nearly dry and must not be fed. Basic info: This fern has 2 types of fronds: the upright, forked and green are fertile. The sterile ones are used for storage and shouldn’t be removed. As the plant ages they turn brown. Older Staghorn Ferns sometimes produce offset plants.